Alfred Moore is a research fellow at CRASSH at Cambridge University, where he works on the Leverhulme funded project Conspiracy and Democracy (RP2012-CO17). He writes on political theory, democracy, and the politics of expertise. 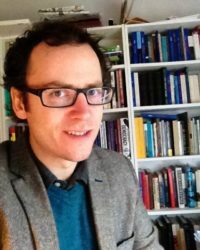 He has taught philosophy at University College Cork, was a Marie Curie Research Fellow at the University of British Columbia, and was a Democracy Fellow at the Ash Center at the Harvard Kennedy School of Government in the Fall of 2012. He has written several media and blog posts for Open Democracy as well as the Washington Post. “Hayek, Conspiracy and Democracy.” Critical Review, vol. 28, no. 1, 2016, pp. 44–62.